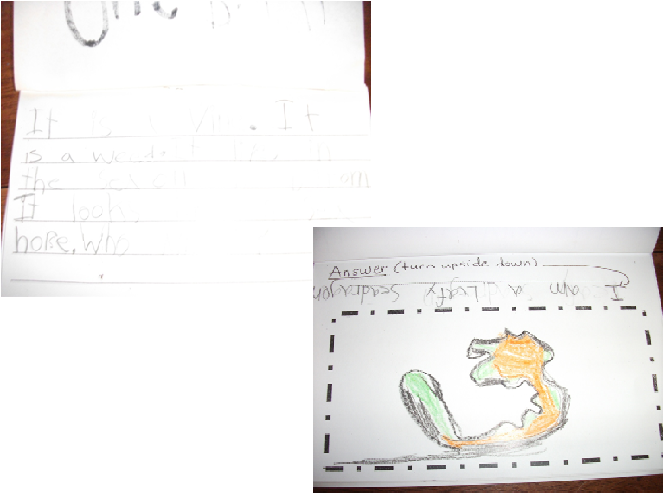 We have been working hard on our nonfiction writing unit. 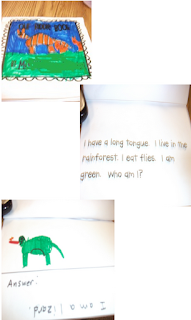 We started with How-to's and now we are writing nonfiction riddles. We started with a class book called Our School Riddle Book. 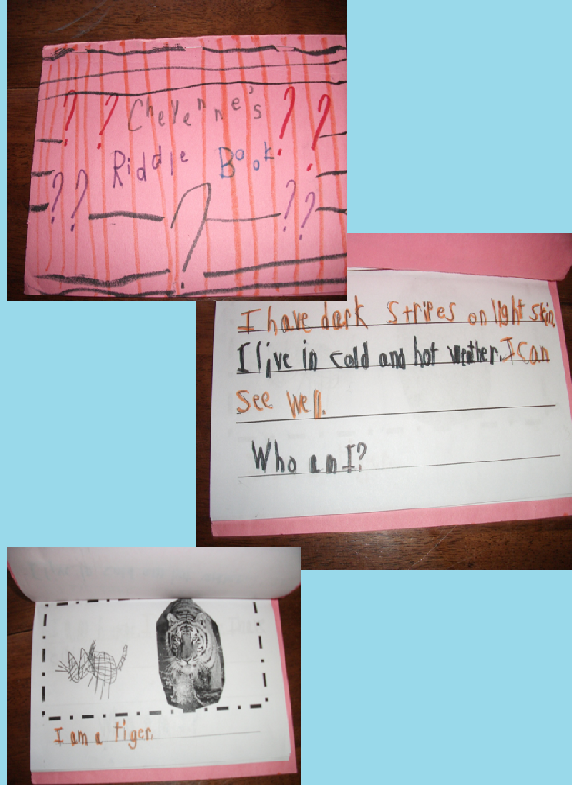 Then, we wrote riddles with a buddy. 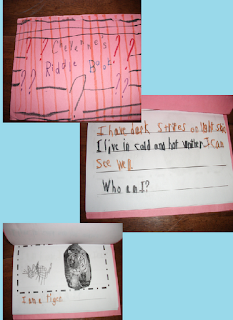 Next, we wrote our own riddle books. 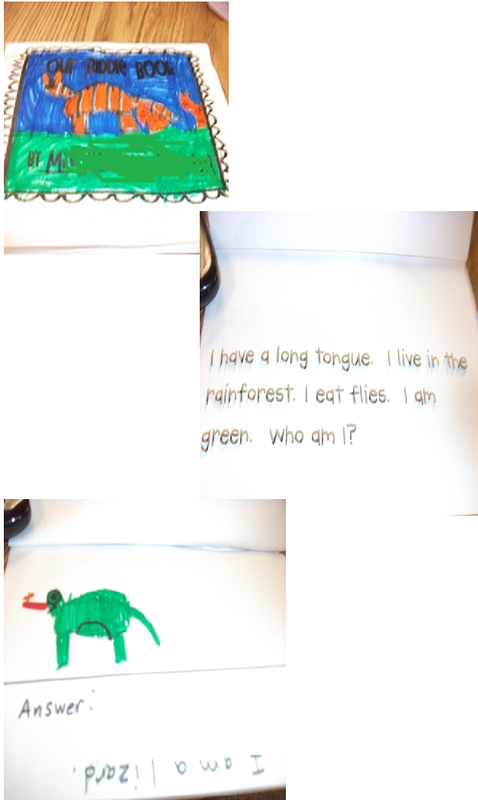 We also independently published an animal riddle book which required us to research animals. 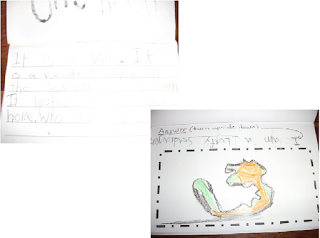 We got our information from photographs, captions, other nonfiction text features and the text. I compiled all we did and made it into an amazing unit that is sure to address Common Core reading and writing standards. This amazing resource is made for your primary students. 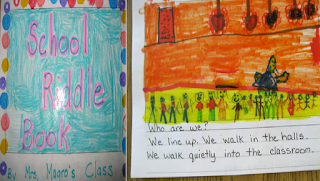 This unit is the perfect way to address Common Core Standards in reading and writing. 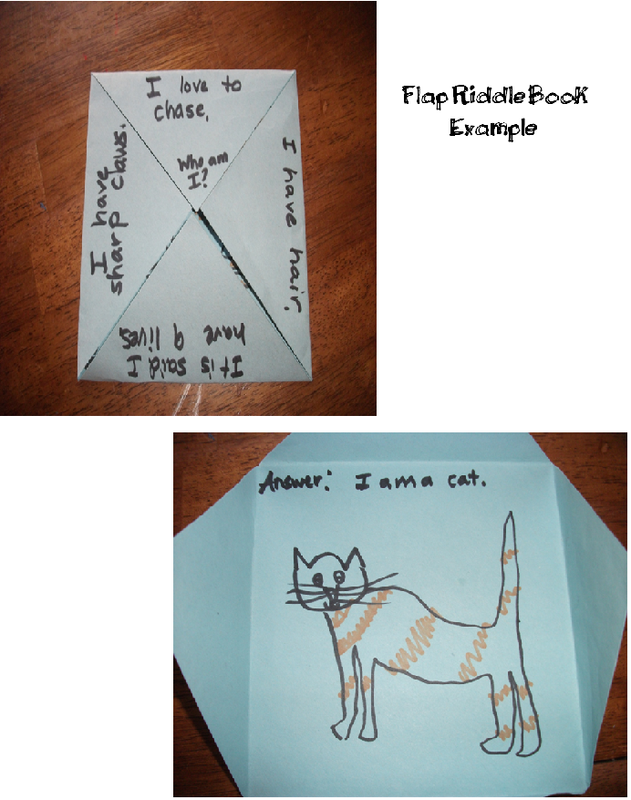 book suggestions, school riddle book example and templates, riddles for use when modeling and teaching the unit, research helpers, nonfiction reading worksheet, circle map, buddy riddle book template and student examples, animal riddle book template and student examples, riddle book student made example and lift the flap riddle book student example and templates. Your students will be super engaged and love writing time! Get it here for only $4.50. 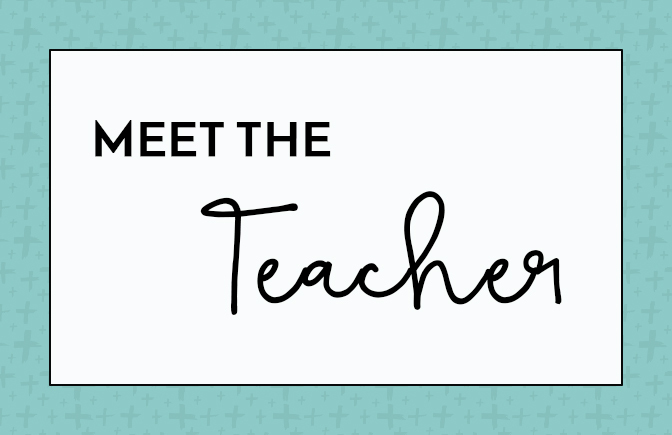 As usual, the first 3 people to follow my blog, TPT store and Facebook and leave a comment with their email telling why they need it, will get it for free! Thanks for reading! I appreciate all of you! Lots of great ideas! 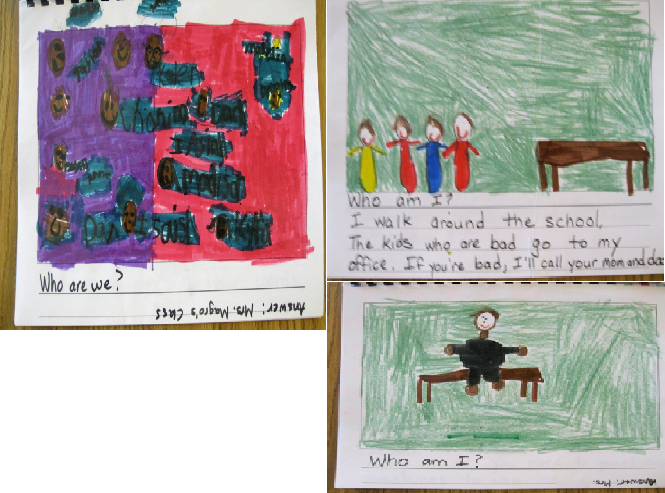 Still trying to get my students to do more non-fiction writing! This would definitely help! 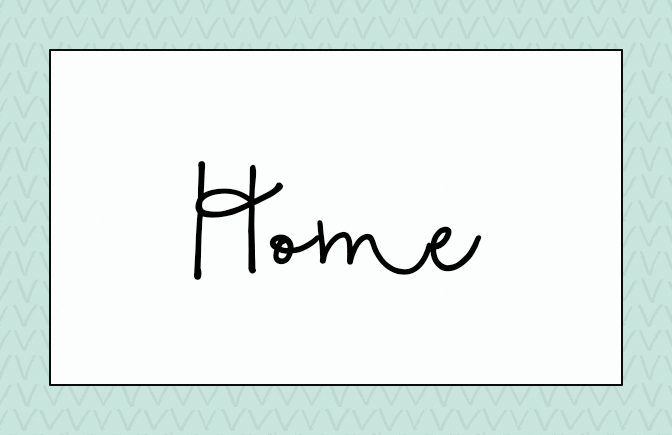 Love and follow your blog and I follow you on FB and TPT! 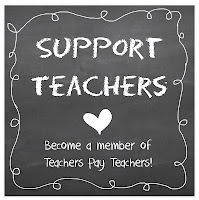 I follow your TpT store and liked your facebook page. I would LOVE this as we are JUST dabbling in Common Core this year and next year we're aiming to take the big leap. I'm okay with it - and I think it's a lot of good stuff, but I'm nervous that my current resources aren't going to hit the nail on the head so I SOOOOOOOO could use this!!!!! 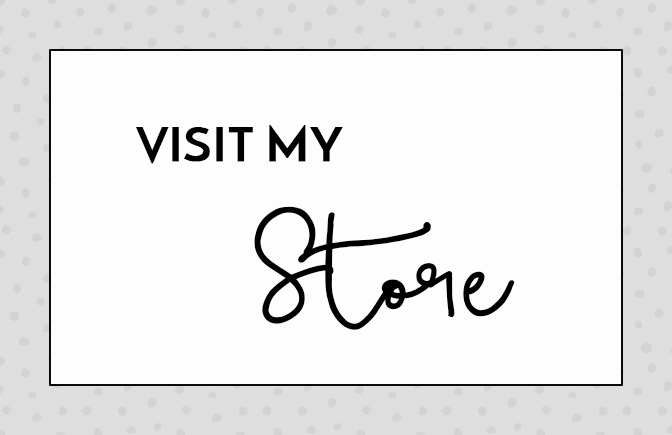 I follow your blog, TpT store and facebook. I would love this. Thanks! That's a cool writing package. I really like your riddle flap books. Have a good one! I LOVE the riddle flap books! I did a similar writing activity with my little ones during their writing rotation for math with 3-D shapes, but I know they get a kick out of making the books! Thanks for sharing your ideas! I'm your newest follower!